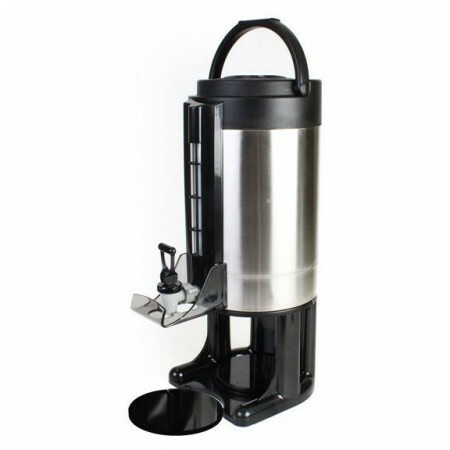 An attractive and functional addition to any restaurant, catering business or corporate office, the Thunder Group ASGD057 Gravity Flow Dispenser 5.7 Lt / 1.5 Gallon makes serving coffee easy. Featuring a stainless steel body, this dispenser is rust proof and corrosion resistant. Its brew-through lid allows it to brew directly into the dispenser for convenience. Designed with a vacuum insulated stainless steel liner, this dispenser will help keep your coffee hot for a longer period. For added convenience, this gravity flow dispenser is built with a carrying handle for easy transport.